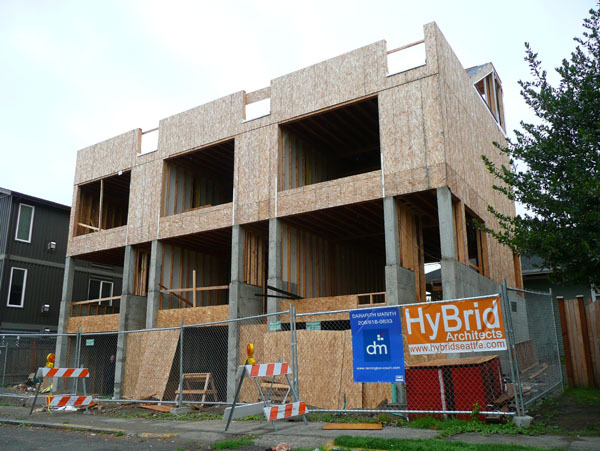 HyBrid is known for pushing the edge in advanced design construction, and past work includes the Inhabit modular housing project (with Mithun), and a bucketload of container housing concepts. Check out the excellent GreenFab blog for more background on HyBrid and info on their award winning 99k house. 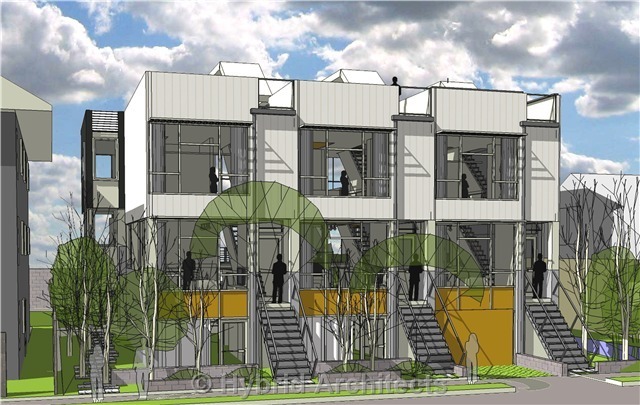 The rendering below shows HyBrid’s Landry Townhouse project, designed for pre-engineered steel construction. I couldn’t find any info on the current status of this one — anyone out there know anything? Posted by dan bertolet on	Sunday, October 5th, 2008 at 9:32 pm. You can follow any responses to this entry through the RSS 2.0 feed. You can leave a response, or trackback from your own site. Looks cool. I think it would have been better if it properly addressed the street-level. To me that is just an obvious miss on pedestrian/ADA/street-friendly notes. These written content powerhouses are an asset to Google and not the other way nearly. But do you think Google is going to sit back and see simply anybody generate big bucks off of their top rankings? your post is damn exciting to examine!